One of the great illusions under which we labor is that if we only get just one more thing from this world, then we will be happy. Perhaps we think that if we just had a little more money, or a better job, or the latest iPhone, or if we were married to so-and-so, or if we lived in a better neighborhood, then we would be satisfied and content at last. But “at last” never seems to come even if we do get some of the things on our list. As Ecclesiastes puts it, The eye never has enough of seeing, nor the ear its fill of hearing (Ecc 1:8). Whoever loves money never has money enough; whoever loves wealth is never satisfied with his income (Ecc. 5:8). Although we realize this deep down, we continue to fall for the lie again and again. We think that just one more thing will do the trick. So we lay out the money and spend the time—and then the delight lasts twenty minutes at most! The world just can’t close the deal. There is a joke (a parable, in my mind) that illustrates the endless treadmill the world has us on and how it continually seduces us into wanting just one more thing. In the end, this leads us to neglect the one thing most necessary. There was a lonely man who thought that perhaps buying pet would ease his loneliness. So he went to the pet store and looked at many animals. He found himself drawn to one in particular. The sign over the cage read, “Talking Parrot: Guaranteed to talk.” Thinking that this would surely solve his problem, the man brought the cage up to the merchant at the counter. A week later the man returned, disappointed. So the man bought the ladder, brought it home, and put it in the cage. Another week went by and the man returned to the pet store. So the man bought the mirror, brought it home, and put it in the cage along with the ladder. Another week went by and the man returned to the pet store again. So the man bought the bell, brought it home, and put it in the cage along with the ladder and the mirror. Yet another week went by and the man returned to the pet store. So the man bought the swing, brought it home, and put it in the cage along with the ladder, the mirror, and the bell. One more week went by and the man returned to the pet store again. The world and the “prince of this world” are always promising results, yet when those results aren’t forthcoming there are only more demands. First the bird, then the ladder, the bell, the mirror, and the swing. There is always just one more thing that’s needed before the perfect result comes! But it’s a lie. The lie comes in many forms: you just need one more accessory, or the upgraded version of the app, or just one more drink, or a newer car, or a bigger house, or a face lift, or bariatric surgery. Yes, you just need one more thing and then you’ll be there. Happiness is always just past the next purchase. In speaking to the woman at the well, Jesus said, Everyone who drinks this water will be thirsty again (Jn 4:13). And that is the sober truth about this world: it cannot finally quench our thirst, which is a thirst for God and Heaven. But time and time again we go back to the world and listen to the same lie, thinking that this time it will be different. Surely it is sensible to make use of the things of this world to aid us in accomplishing our basic duties, but they are not the answer to our deeper needs. The big lie is that they are the answer. And when they fail to satisfy us, the lie just gets bigger, declaring that just a little more of it will surely close the deal. In buying the ladder, mirror, bell, and swing, the man neglected the most important thing: food. So, too, for us. We seek to accumulate worldly toys and trinkets that are passing, while neglecting eternal and lasting realities. We seem to find time for TV, sports, shopping, etc., but neglect or completely forget about prayer, Scripture, the Sacraments, the Liturgy, worship, and the development of any kind of relationship with the Lord. We are staring into the mirror focused on our own self. The enticements of this world summon us to endless things, mostly trivial in the long run. We are climbing the ladder of success without regard as to what is at the top of that ladder. All of these less important matters divert us from the one thing necessary: feeding our souls on the Lord. Whoever eats my flesh and drinks my blood remains in me, and I in him…the one who feeds on me will live because of me (Jn 6:56-58). Ah, but there’s no time for all that. 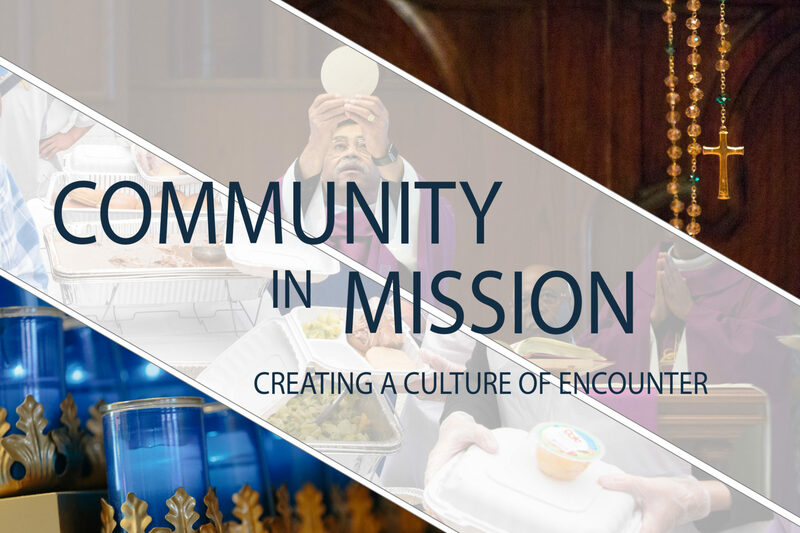 Getting to Mass, praying, receiving Holy Communion? No time! I hear a bell summoning me to just one more diversion, one more meeting. I’m too busy climbing the ladder of success. I’m too busy looking at myself in the mirror to make sure that I fit in, and that everyone likes me. Just a little parable on the lies of the devil and the empty promises of this world.